10cm and Highlight's Junhyung�worked together in a flawless fashion. On the April 7 broadcast of KBS' 'Yoo Hee Yeol's Sketchbook', 10cm started off by singing�"What The Spring?" which was then joined by the Highlight member in a surprise fashion. 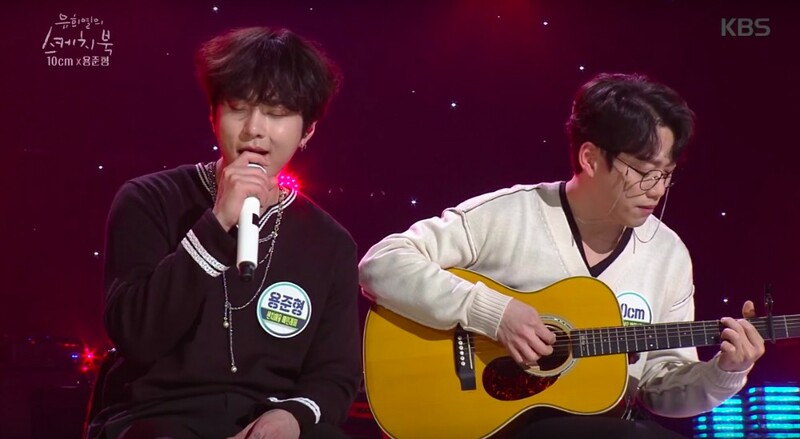 Afterward,�the two artists stepped on the stage together to perform "Sudden Shower", Junhyung's new track that recently swept the charts. In addition to this spectacular performance, the two even traded their�popular songs to hold special covers; Junhyung sang 10cm's "Stalker" while 10cm took on Highlight's "12:30".